The Ward Hand Forged Iron Mirror features a 3-dimensional open design that’s finished in a dark rust bronze. The inner frame uses aged, natural fir wood planks. The mirror has a generous 1 1/4″ bevel and may be hung horizontal or vertical. 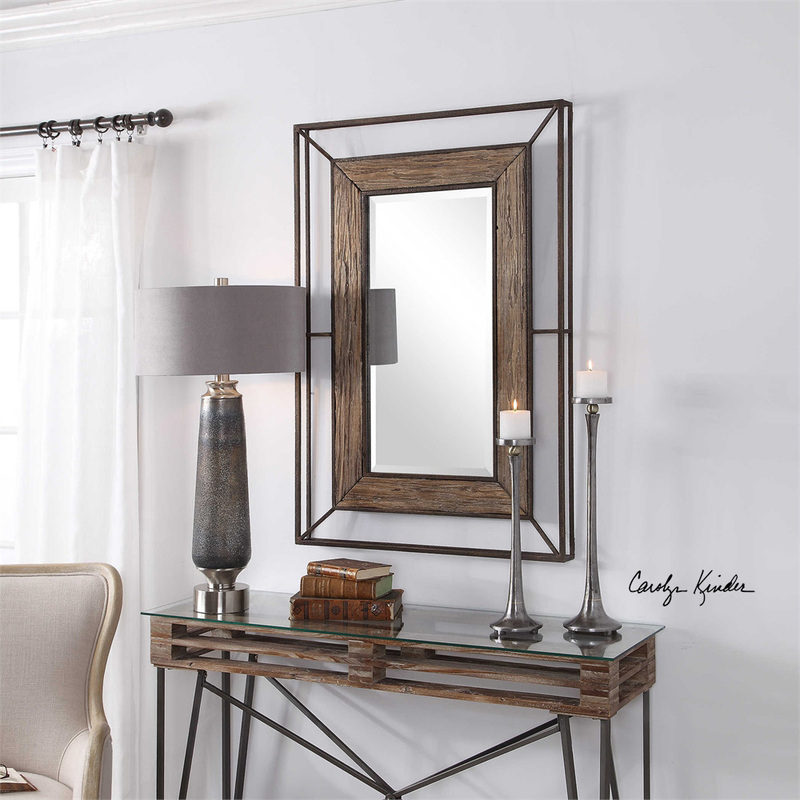 Designed by Carol Kinder International, this unique mirror is transitional in style and fits right in with a variety of home decor styles like Modern Country and Industrial. 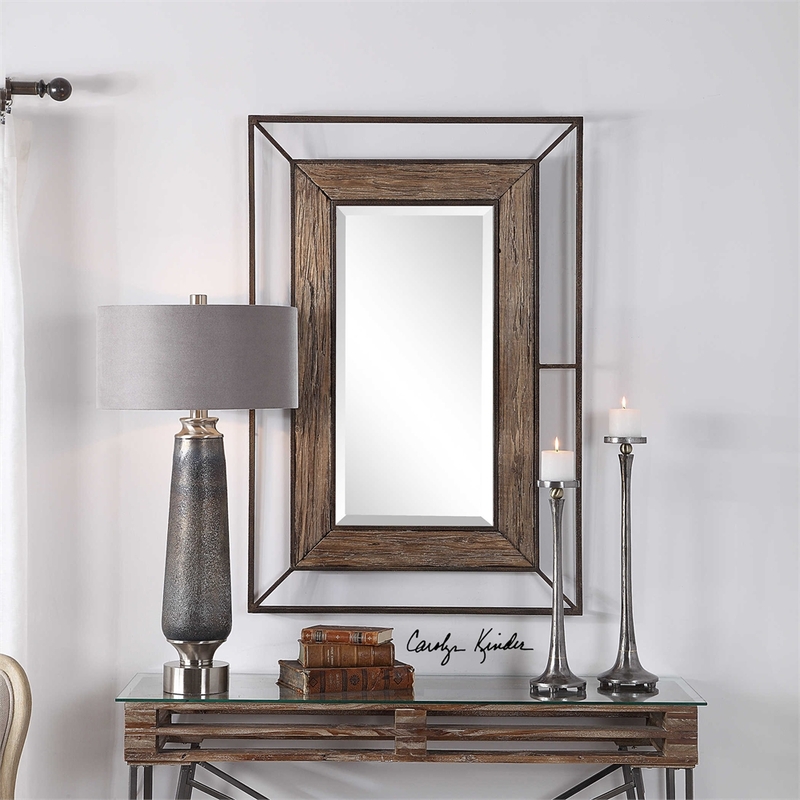 Available to trade professionals at Uttermost.com.. For retail purchase Google keywords “Carolyn Kinder Ward Hand Forged Iron Mirror”.